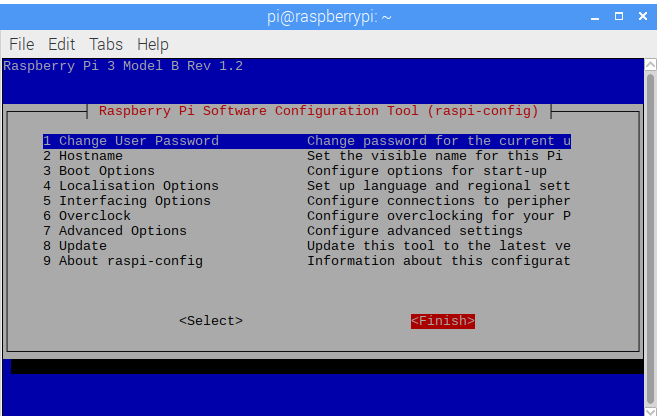 The tutorials on this web page are completeable on the Raspberry Pi device. The steps to configuring your device to run these tutorials is described on this page. 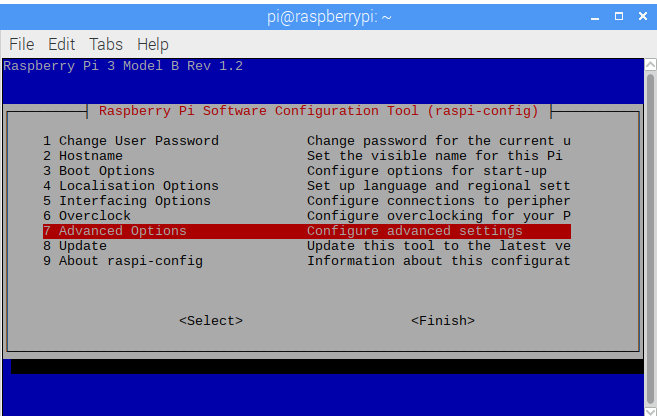 The version used is 2017-09-07-raspbian-stretch downloadable from the Raspberry Pi Foundation's website Download Page. 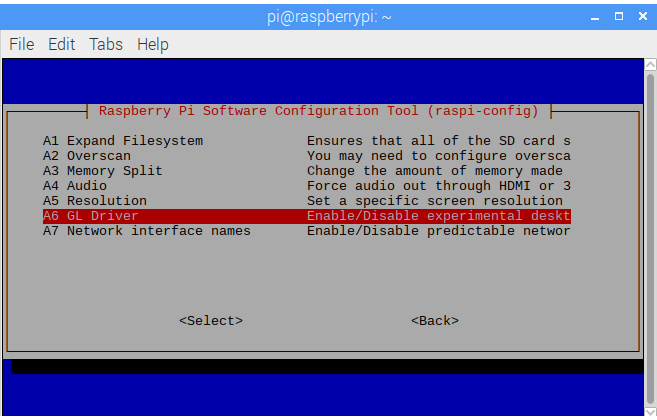 The steps for how to install Raspberry to your SD card is listed on the Installation page of the Raspberry Pi's foundation page and will not be covered here. 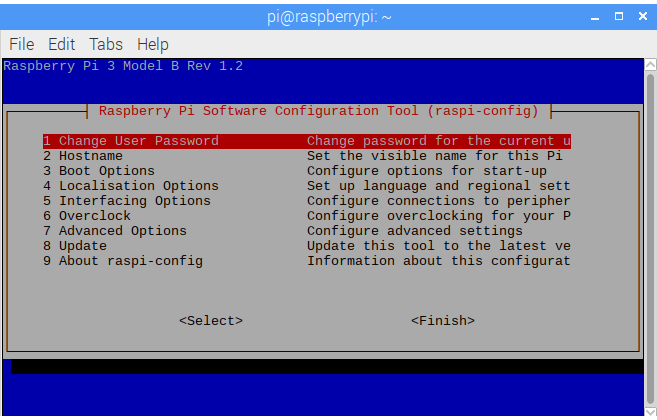 This guide assumes you have a newly installed image of 2017-09-07-raspbian-stretch. This guide may work on order versions, but this has not been tested by the author. Disclaimer: Take the proper precautions if updating an existing system at your own risk. If you have any doubts, use a fresh SD card or ask around if you have any doubts about enabling the experimental driver. Next we will install the dependencies needed for the tutorials to run. Use the arrow keys to move the selected option down to 7 Advanced Options. Press the enter key, and you will find yourself at the following menu. 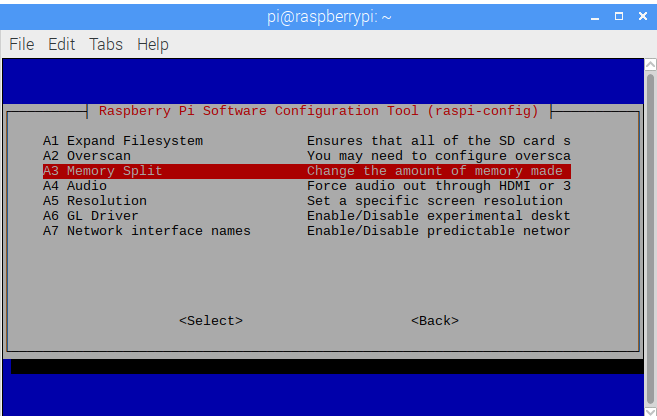 Move the selected option down to the option A3 Memory Split and hit the enter key. After that you will find yourself back at the top, menu. Repeat the process and select 7 Advanced Options from the list. This time scoll down to A6 GL Driver and press the enter key. 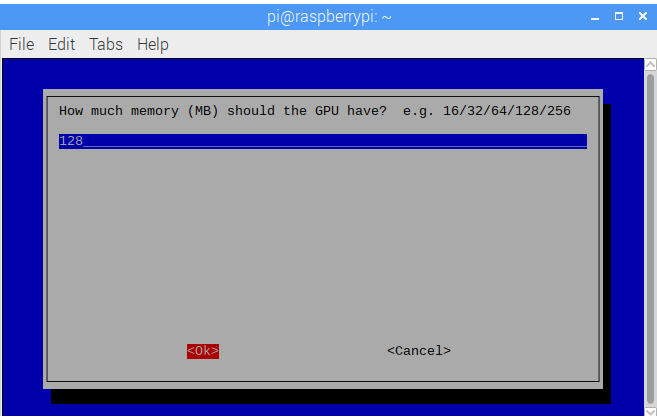 The first option, G1 GL(Full KMS) OpenGL desktop driver with full KMS should already be selected. 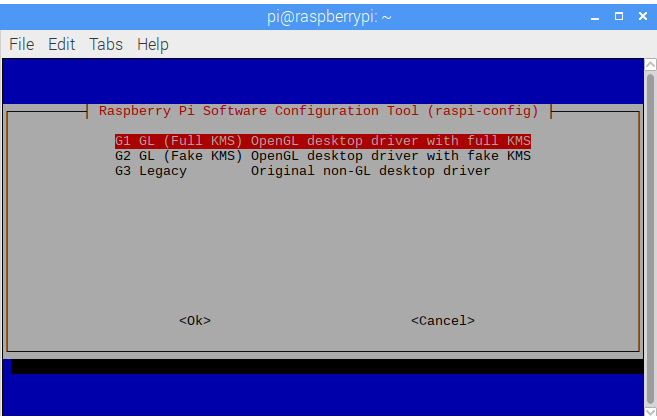 Press the enter key to confirm the option, and you will be greeted with the message "The full KMS GL driver is enabled.". Press the enter key, to confirm and return to the main menu. From there, press the right arrow key twice to select <Finish>. You will then be asked "Would you like to reboot now?". 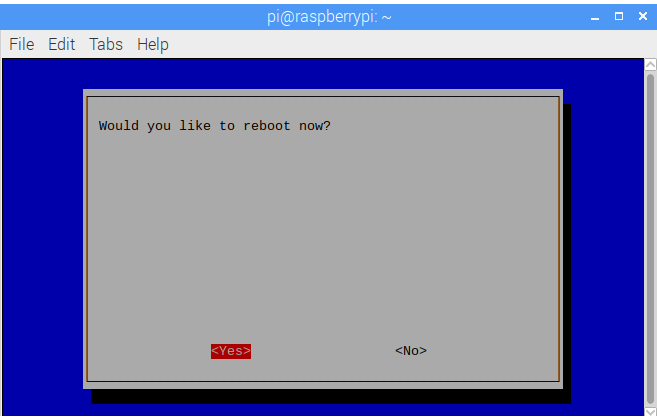 Press the enter key to confirm <Yes> to reboot. Once your device has rebooted, it should be configured to run the tutorials listed on this web site.